When you have a lot of employees and / or you have a lot of tasks for them to do, it is more convinient to import task lists rather then creating and assigning them manually. Usually in this case tasks are loaded from external systems like 1C or other CRMs. Besides usage of programming interface(API) for developers there’s an easy way of import – from Excel file. Data has to be presented in the form of XLS, XLSX or CSV spreadsheet. You are going to see the “Tasks import” window where you can download “File example” and also set task parameters. Duration – time in minutes necessary to offset the fact of the visit. 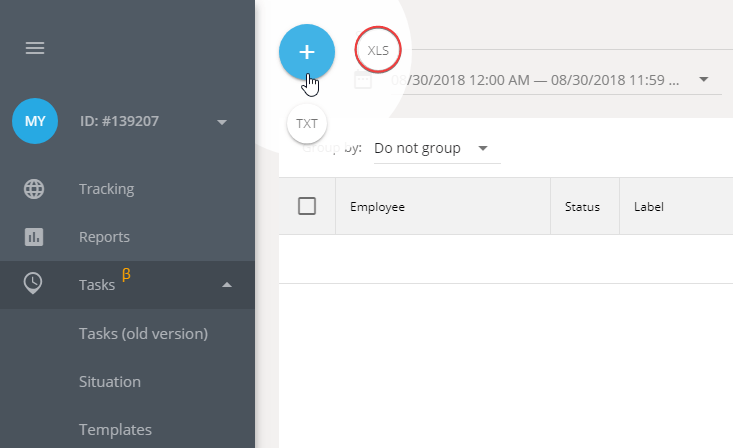 If some fields are incorrect, for example the address is not found or isn’t fully specified the system will offer you to specify this parameters on the next step. Default radius – defines the permissible deviation from a specified location. Even if employee(vehicle) will not arrive to defined place but will arrive to specified area the task will be counted as completed. 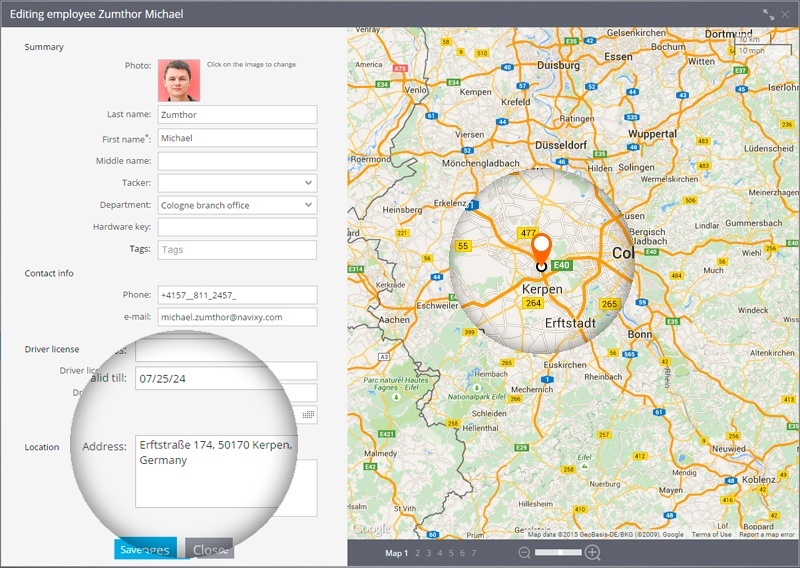 Default geocoder – used address book. You can choose several detailed address books. However, if some of the address books is not good enough for your area, you can specify a different one. 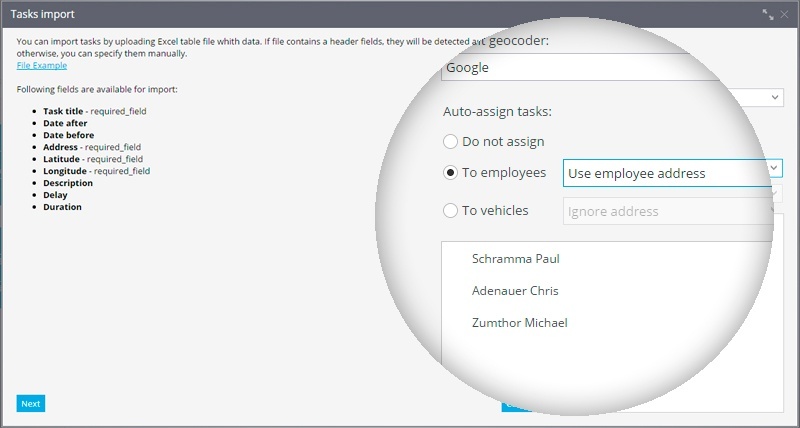 If you want that the imported tasks were automatically appointed on employees, use “Auto-assign tasks” function. That way you can specify to which employees (from the list) and in which way the task are going to be assigned. 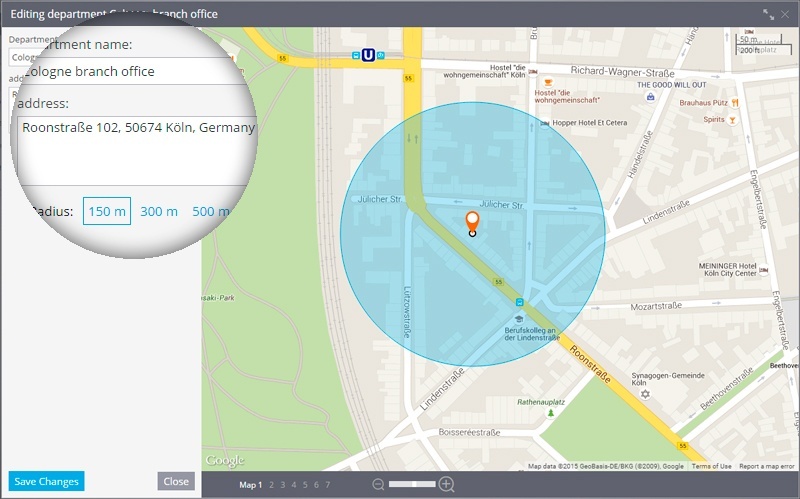 Use employee address – tasks will be assigned taking into account the proximity of a task to an employee. For example, for freelance employees working out from home, you need to specify their home address. Use department address – task will be assigned according to the proximity of the department to which the employee is attached. For example, if you have multiple branches, you can specify addresses for them then the tasks will be distributed by departments given the proximity of branches and within the department – uniformly by employees of the division.